Home » Annuities » Personal finance » Retirement » Retirement – Are Annuity Contracts Worth It? 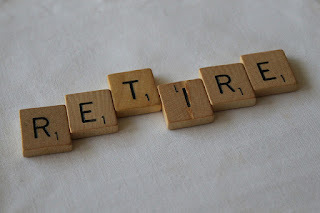 Retirement – Are Annuity Contracts Worth It? Are you getting to retirement age? If you are, do not despair because now is the time for you to enjoy your life. After all, you have worked long enough and hard enough, and now you deserve a rest. But, life after work is not a doddle, especially if you don’t have the cash. A lot of people at retirement age suddenly realize they never took care of their financial situation when they had the chance, and now they are paying. The result is that a lot of people on the verge of retirement are turning to annuity policies. But, are annuity policies beneficial to retirees, or are they full of hot air? The answer is they are very beneficial, and here’s why. Unlike a conventional 401K, an annuity contract has no limits to the amount that you can deposit at any one time. For example, if you have come into a lot of money and you want to store it away, you could put everything into the annuity policy. With the 401K, on the other hand, you could only put in a specified amount. For anyone who wants to ‘catch up’ for retirement, an annuity policy is incredibly beneficial. It is a safe place to store your money regardless of your age or how much you have to store. But, there is another sinister advantage of depositing as much money as you can at one time, and it revolves around tax. When you put money in an annuity, you lower your tax bill. The money is not taxed, obviously, and the annuity policy is also not taxed. In many ways, it is like laundering money, but it is one-hundred percent legal! In the long run, that will save you a lot of cash. So, you can either use it for your retirement. Or you can give it away if you don’t have time to spend it. Either way, at least the taxman doesn’t get their hands on your dough! Most annuity contracts will pay out whenever you call them to tell them you want to cash in on the policy. Of course, that is dangerous because you can get hold of and spend your money before you reach retirement. However, let’s just presume you are responsible, and that is not an option. If you are responsible, it gives you more leeway with regards to your career. For example, you might save enough to retire early. All you have to do is get in touch with the company and cash out. For more info on cashing out, go to Money Up Front. The odds are that an annuity policy will not be your only plan. Most employers enter into retirement plans with you (401Ks) to ensure you have some money when you retire. In this case, when you do retire, you will have plenty of money to help you live comfortably. An annuity policy acts as a compliment to every other policy and retirement plan that is active.